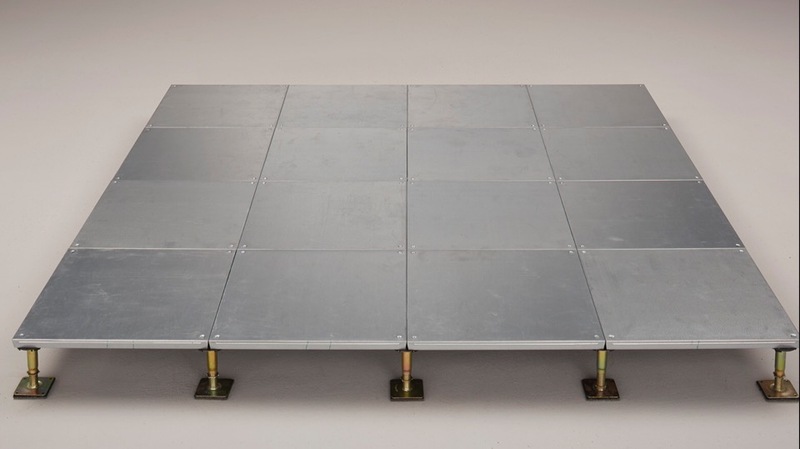 Magnetized and foam-sealed wood boards provide a secure connection to the supporting structural pedestals, which can be conveniently disconnected using a suction lifter to allow for maintenance and repair of the concealed services. 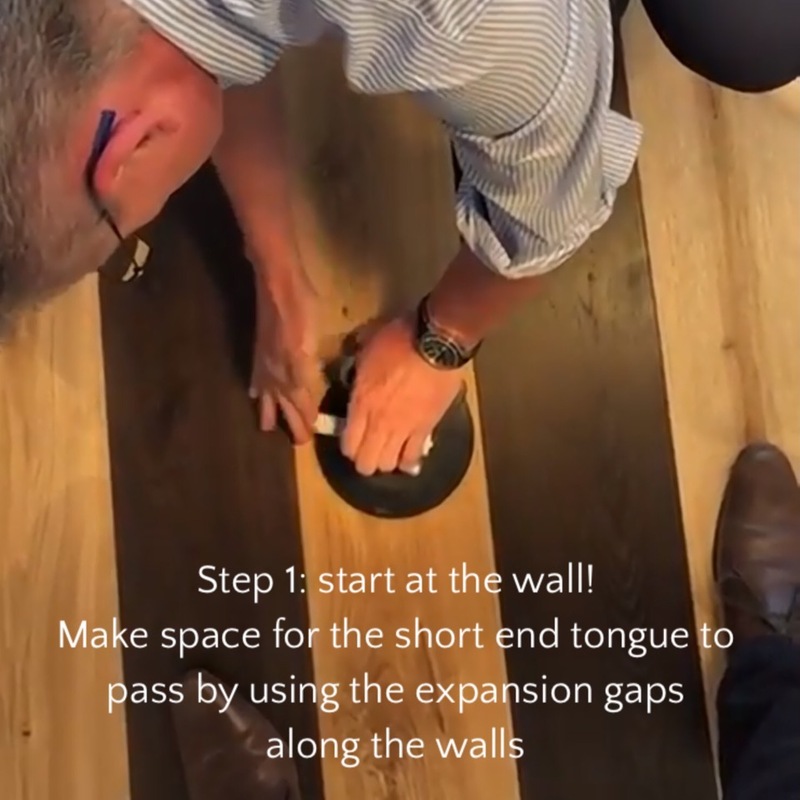 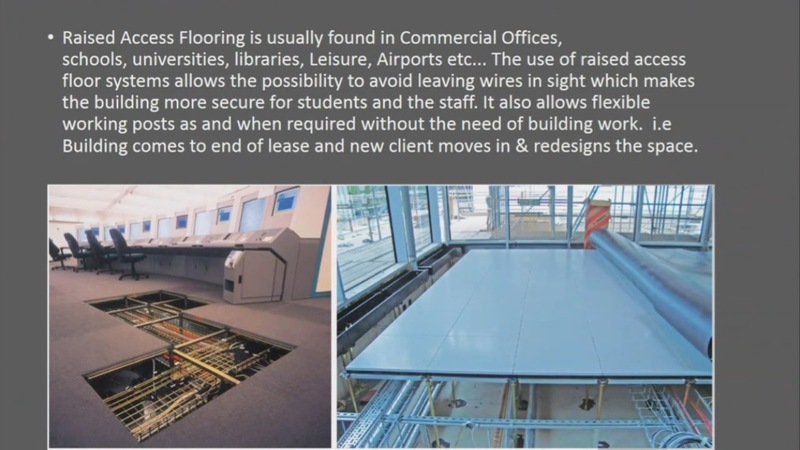 Versatile solution for installation in multi-purpose commercial premises, providing easy accessibility to underfloor services. 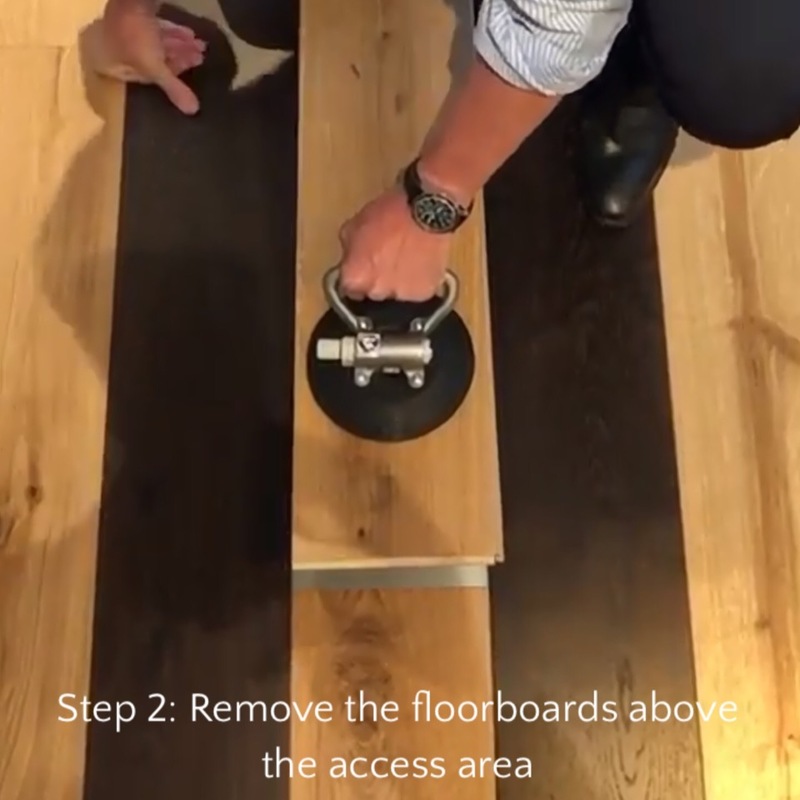 In comparison to conventional fit methods, Magna is up to 90% faster to install making it ideal for large-scale office and retail environments where a quick turnaround is essential. 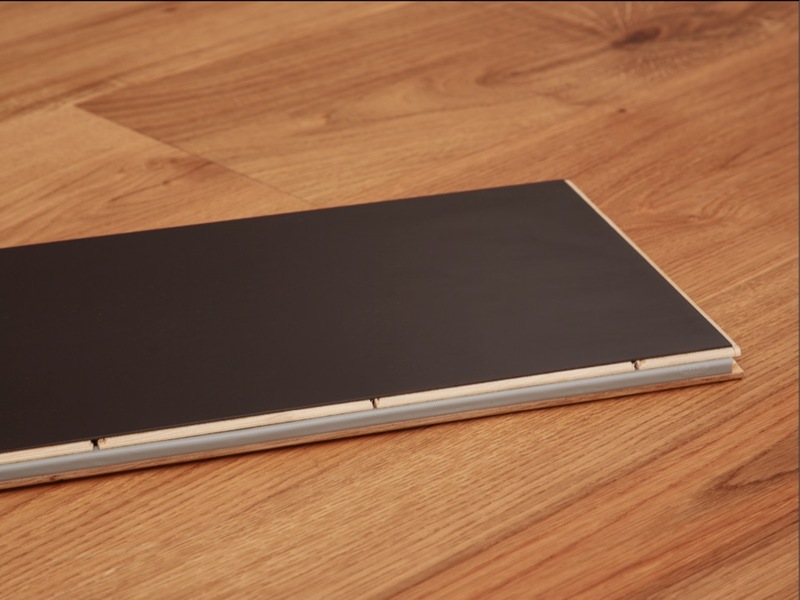 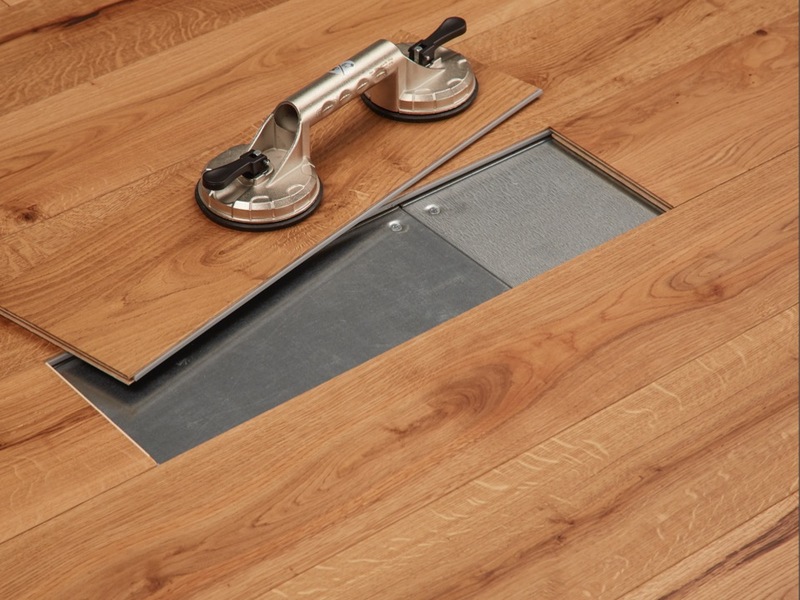 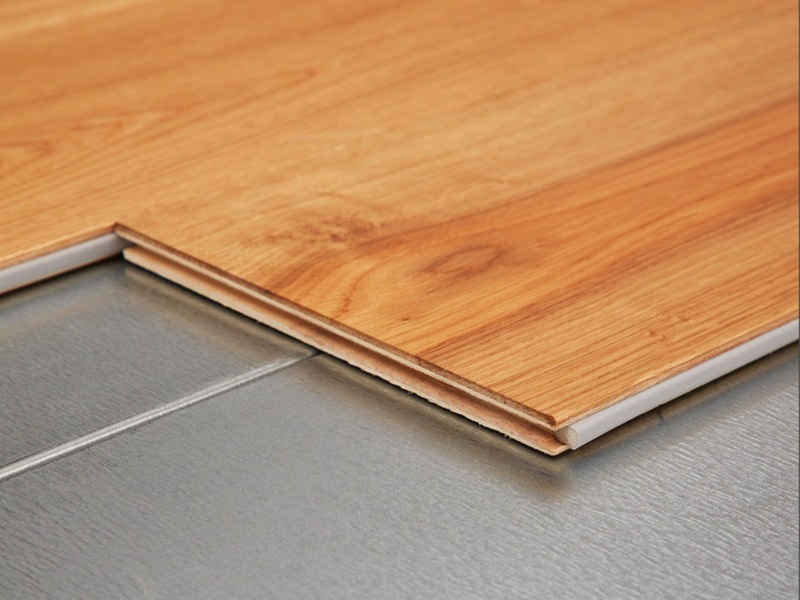 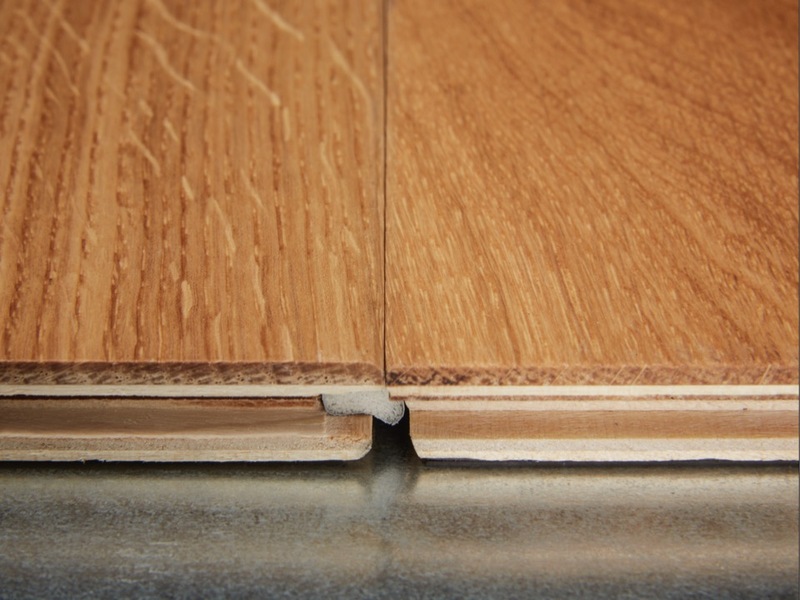 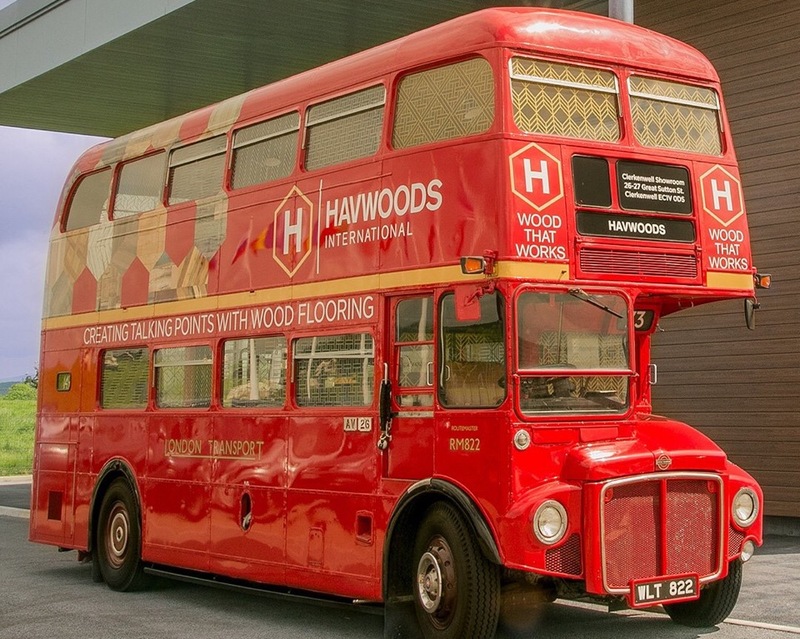 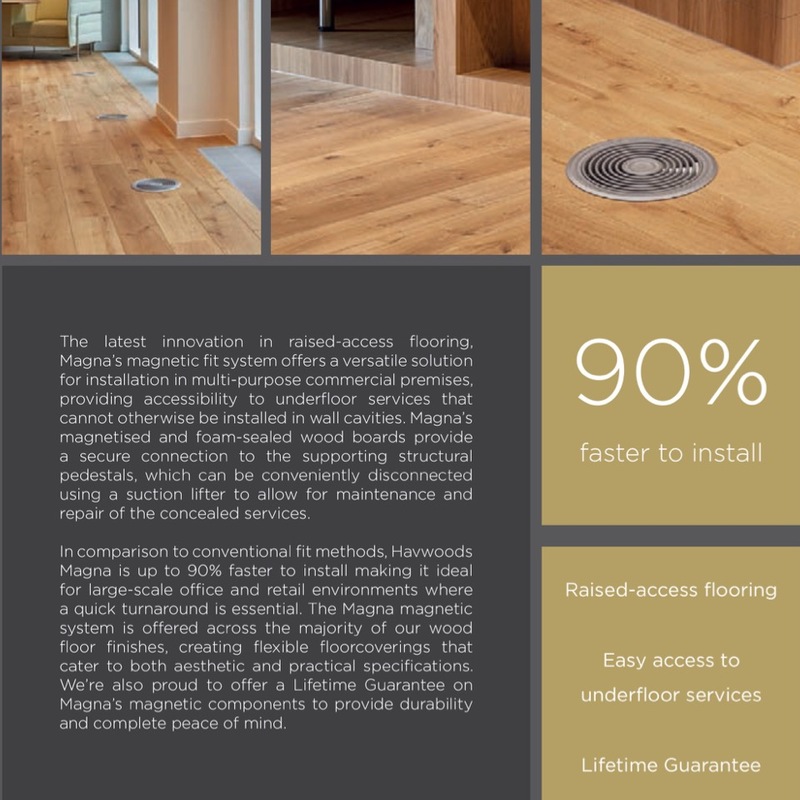 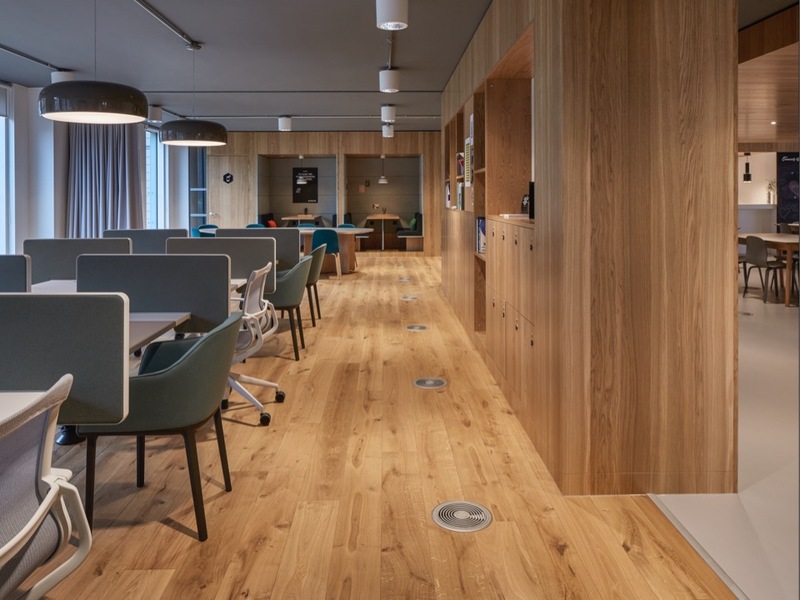 The Magna magnetic system is offered across the majority of wood floor finishes, creating flexible floorcoverings that cater to both aesthetic and practical specifications. 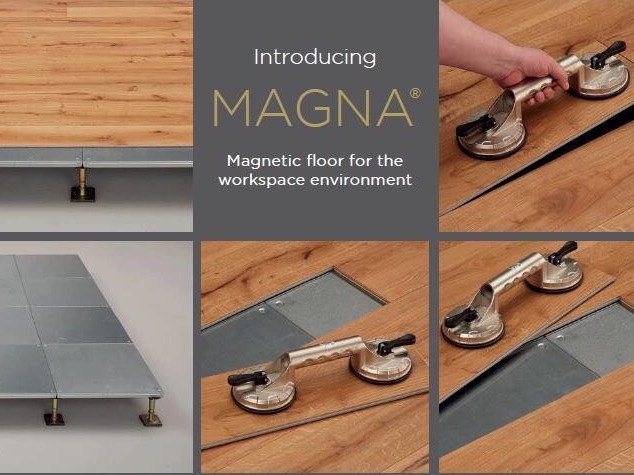 Magna comes with a Lifetime Guarantee on it’s magnetic components to provide durability and complete peace of mind.